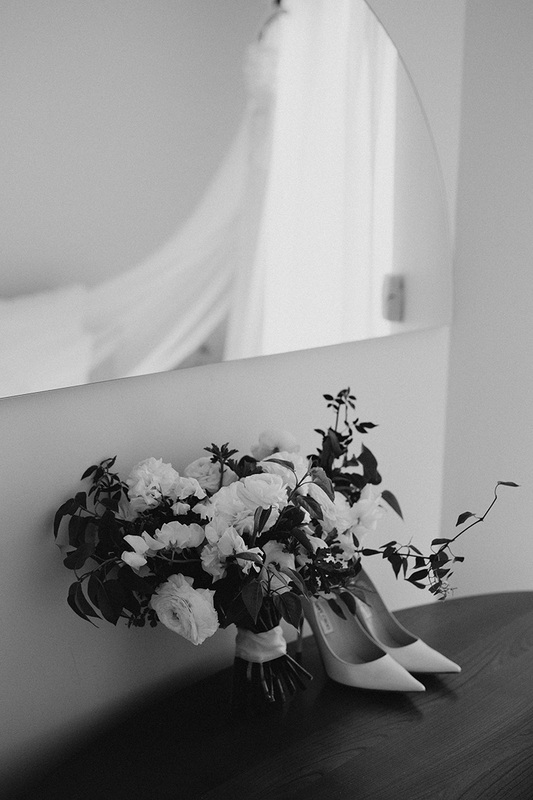 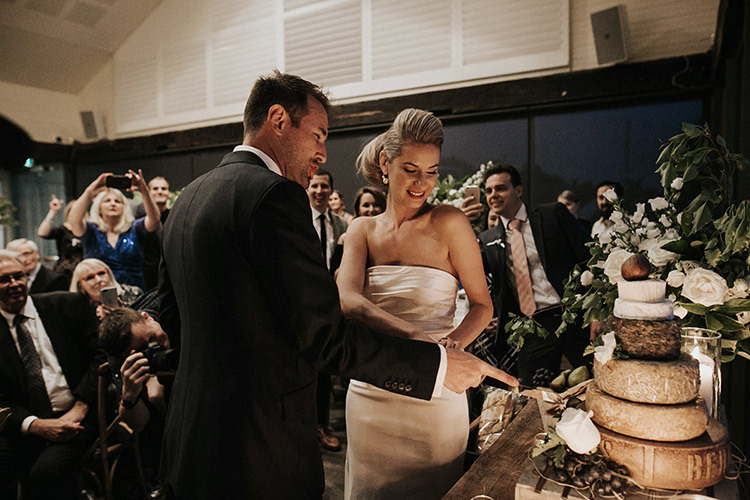 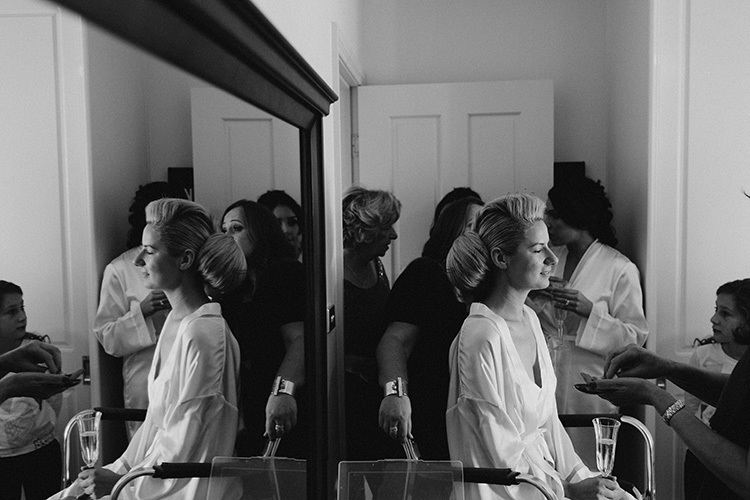 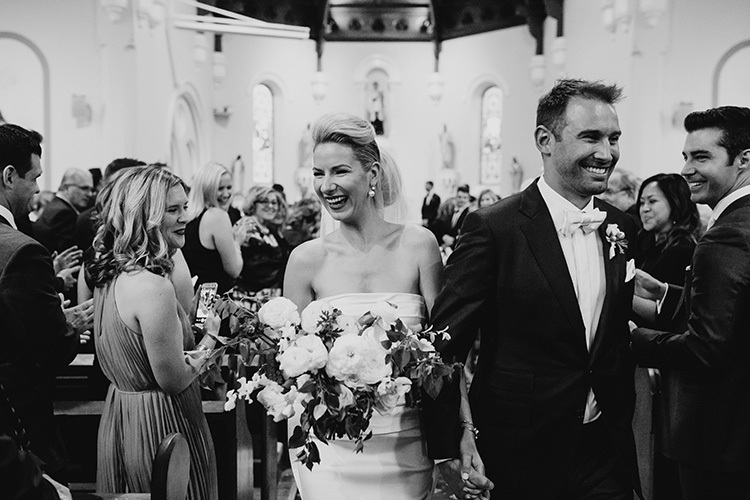 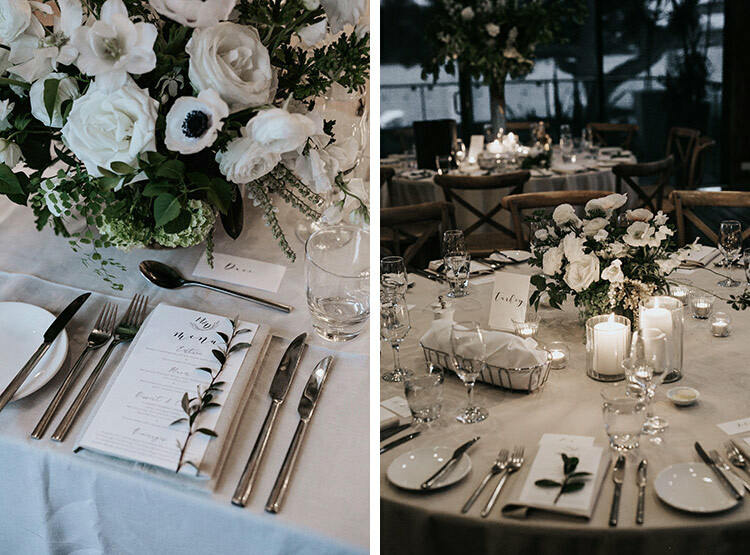 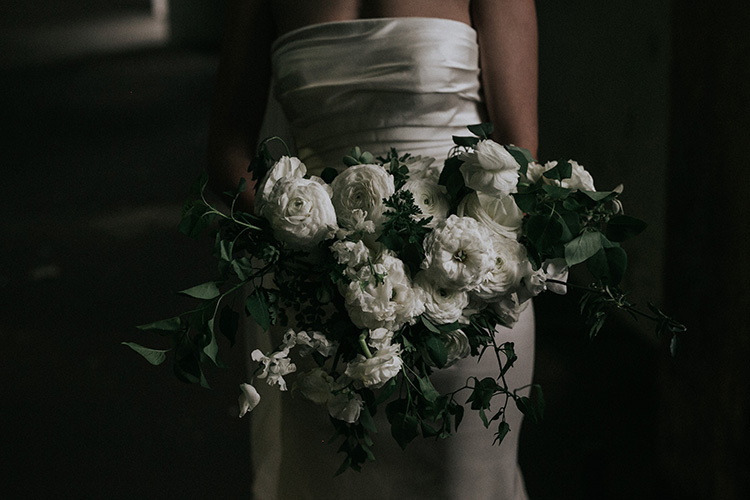 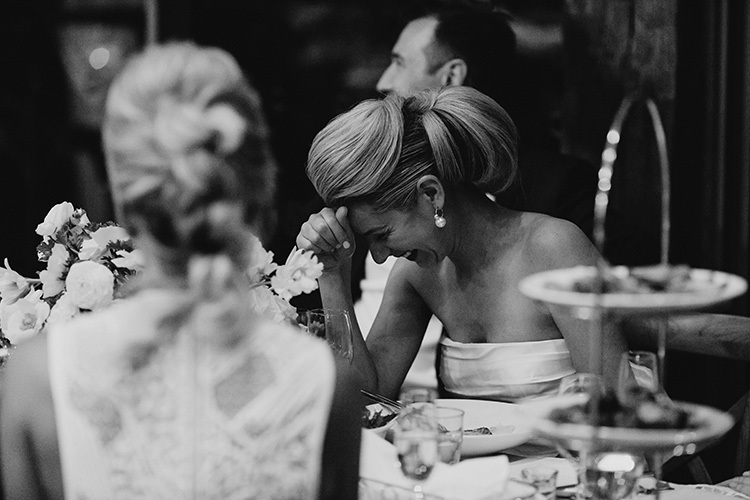 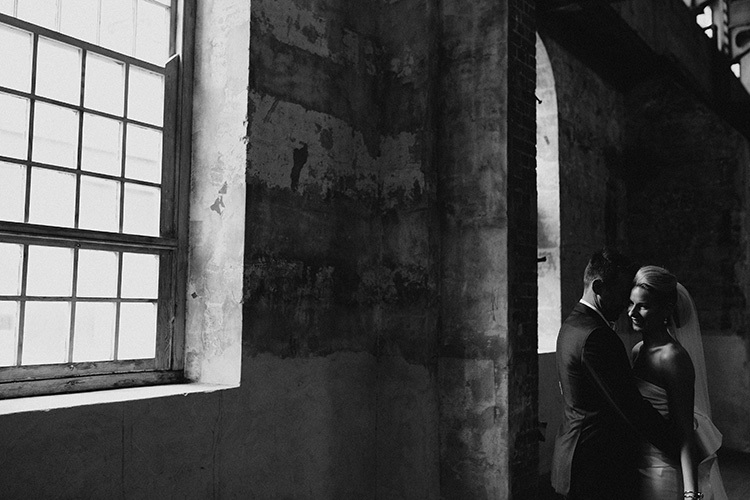 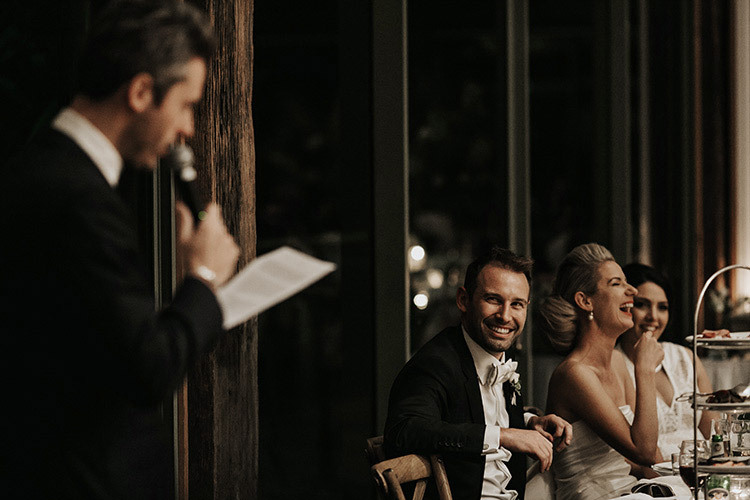 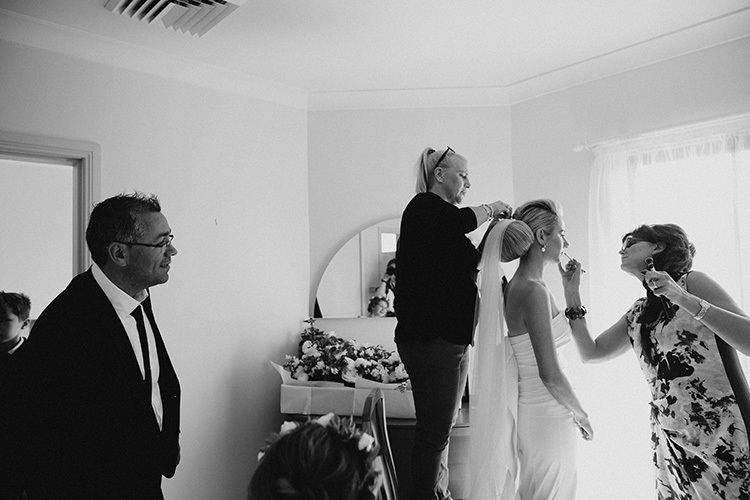 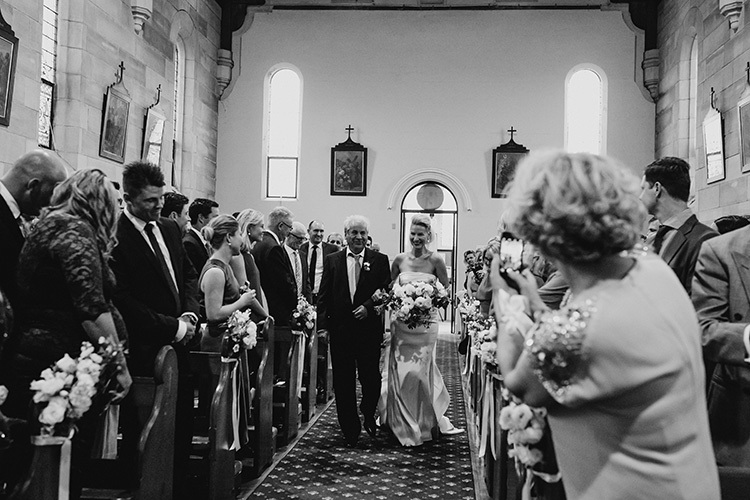 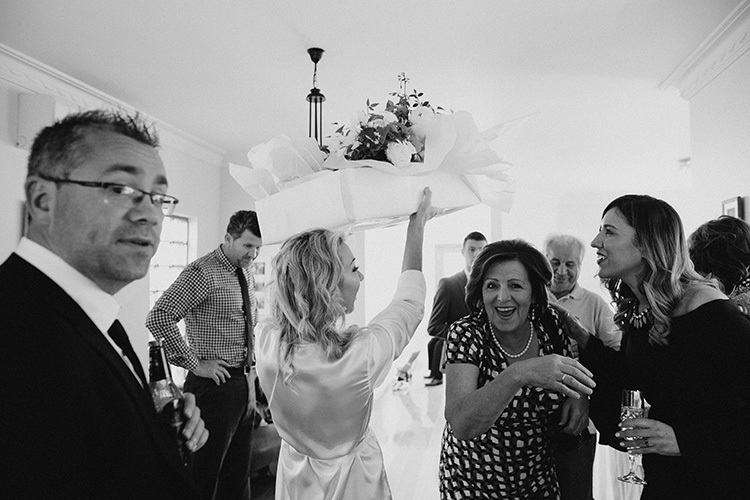 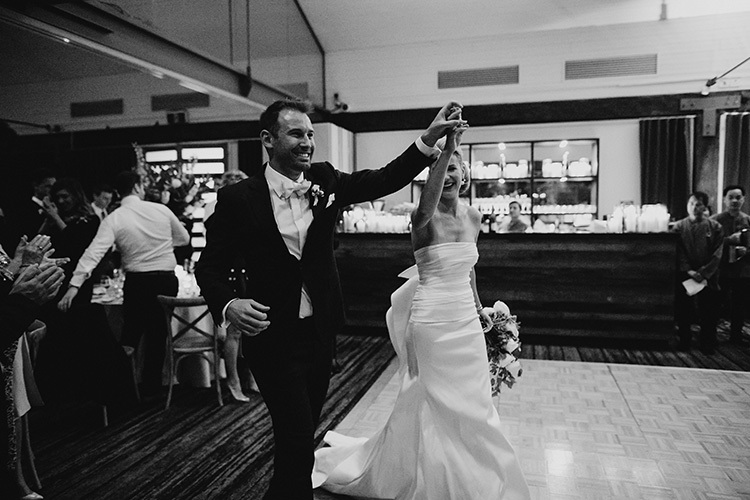 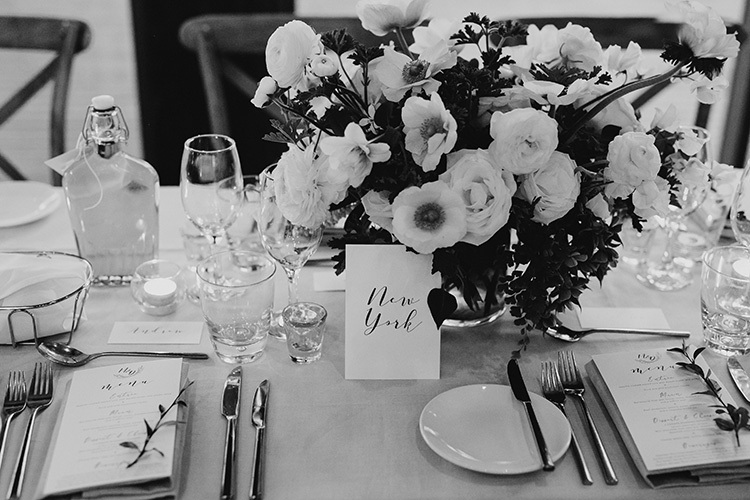 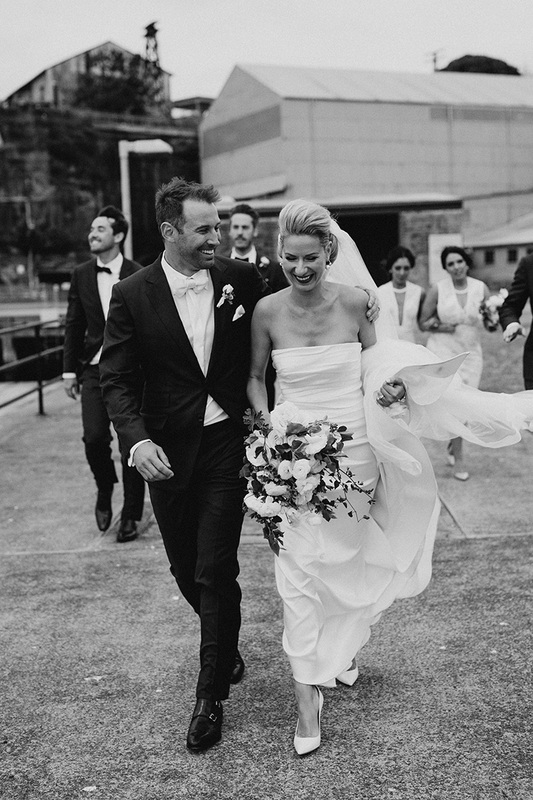 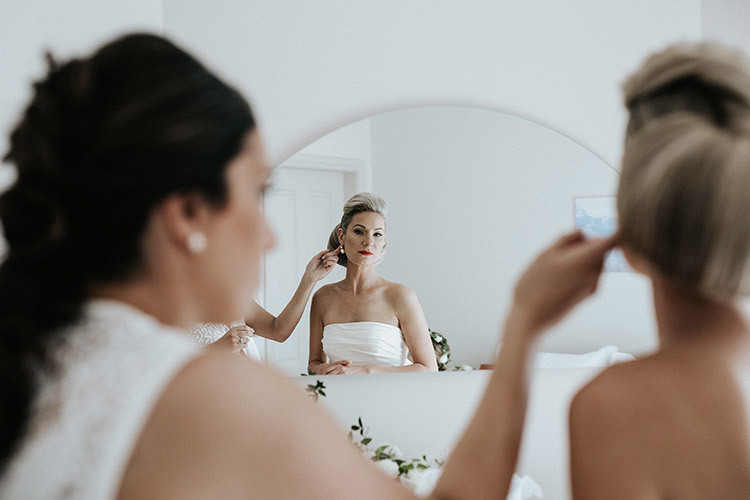 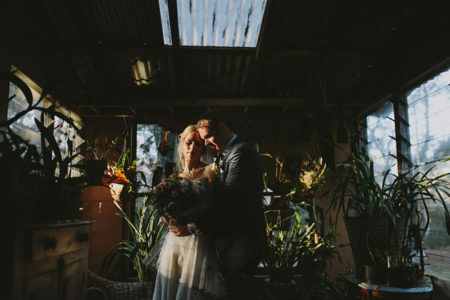 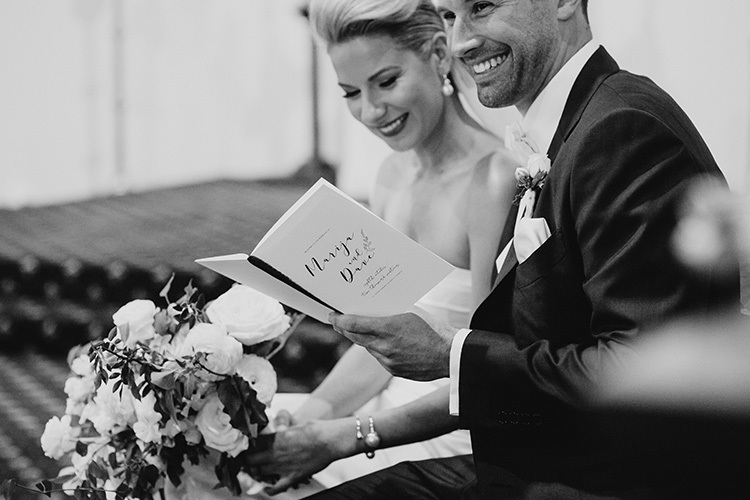 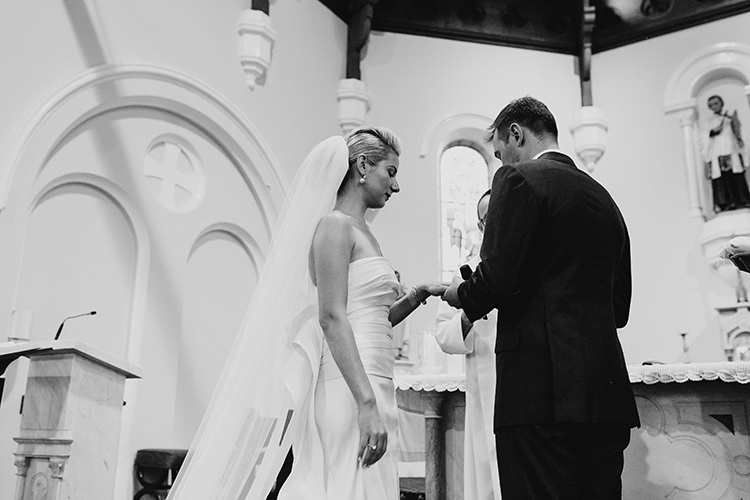 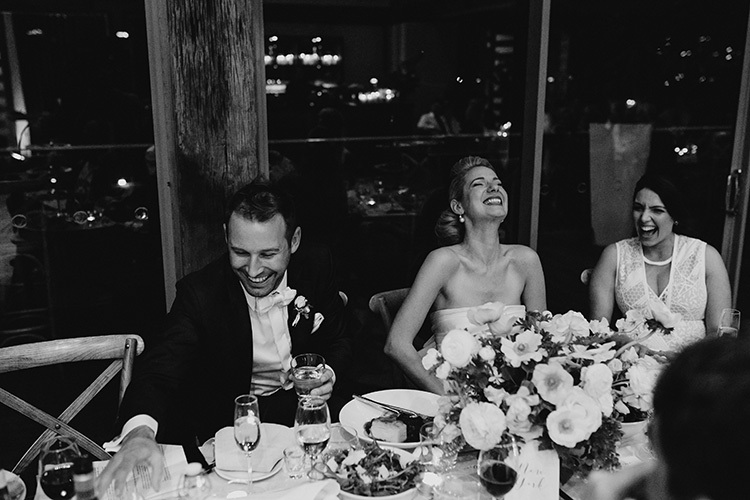 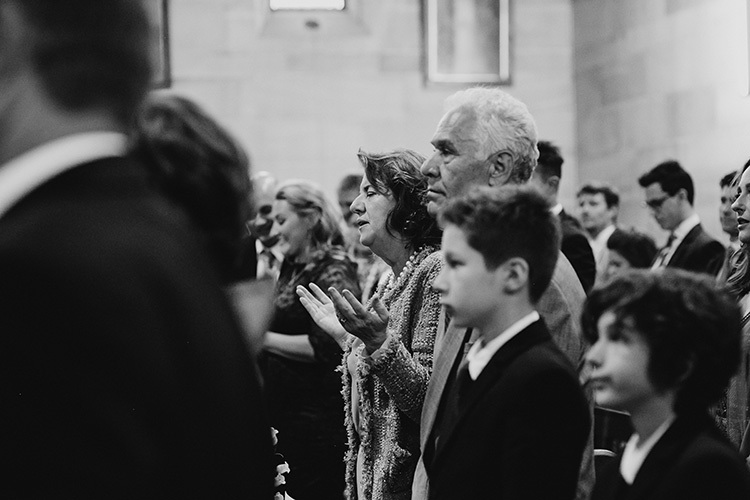 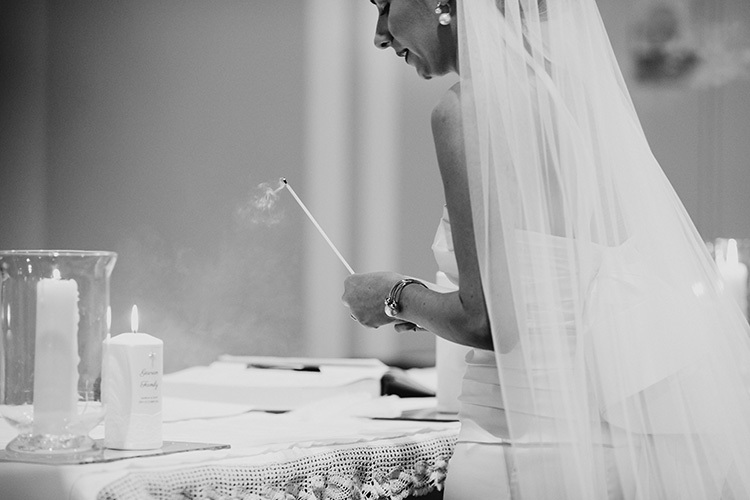 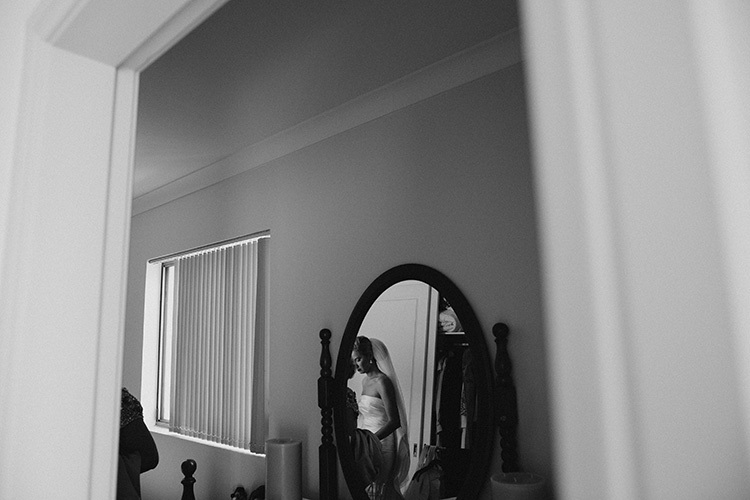 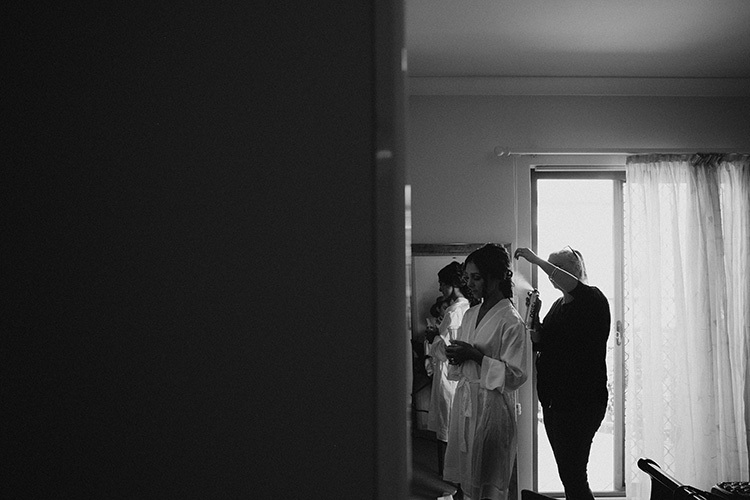 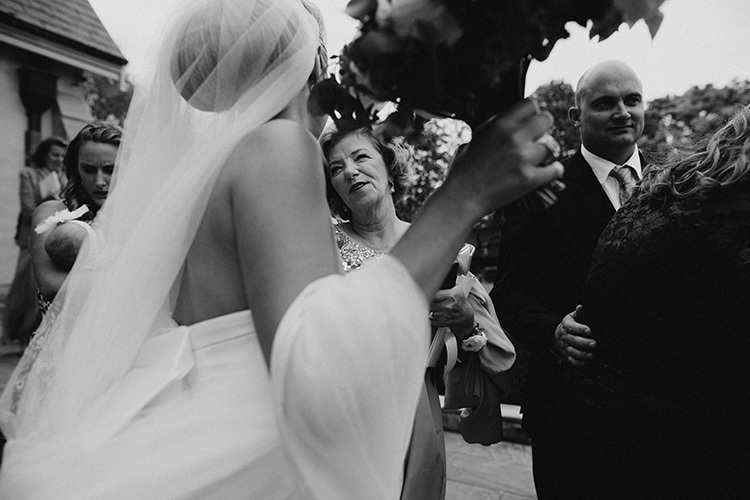 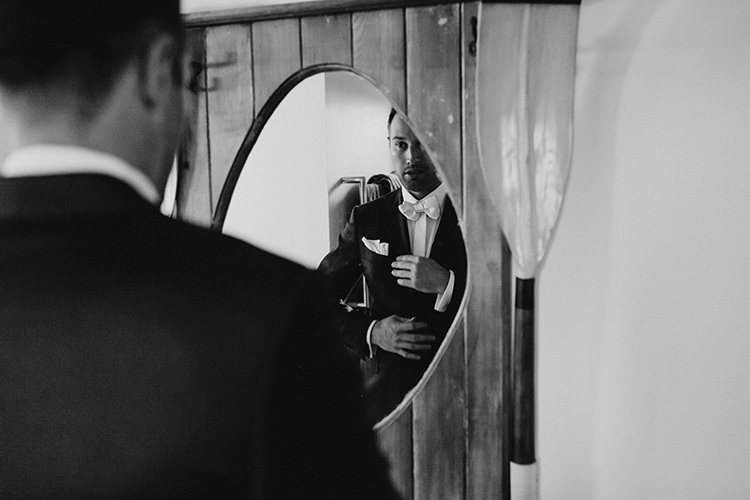 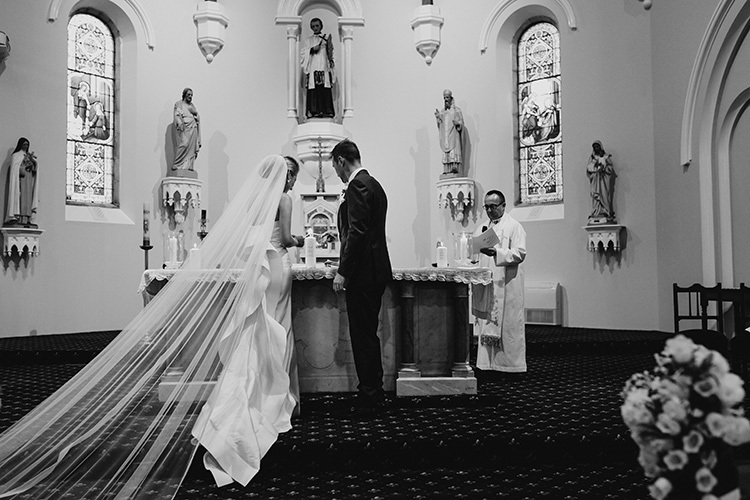 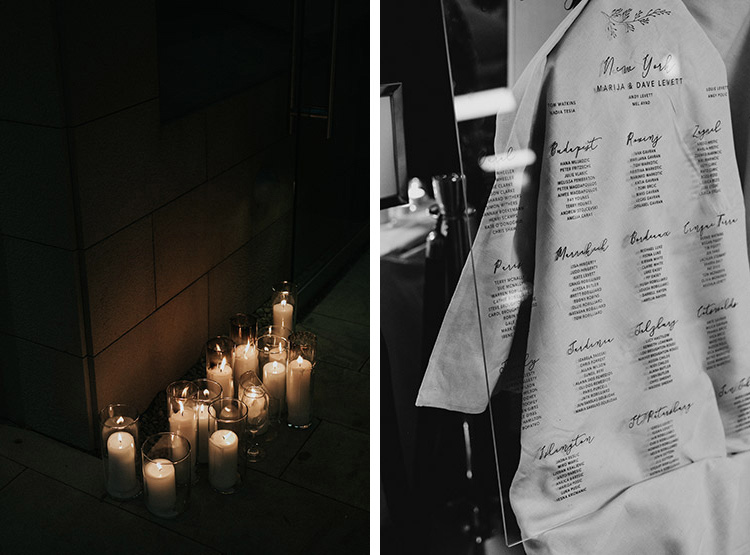 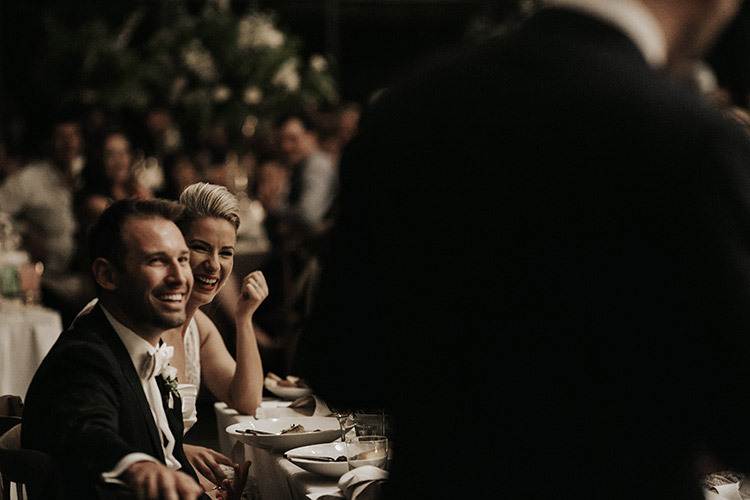 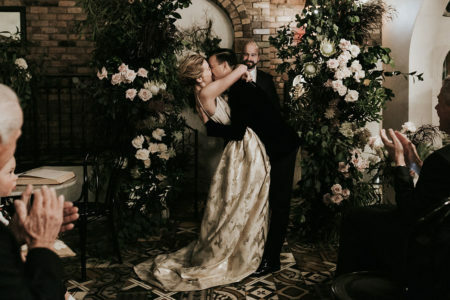 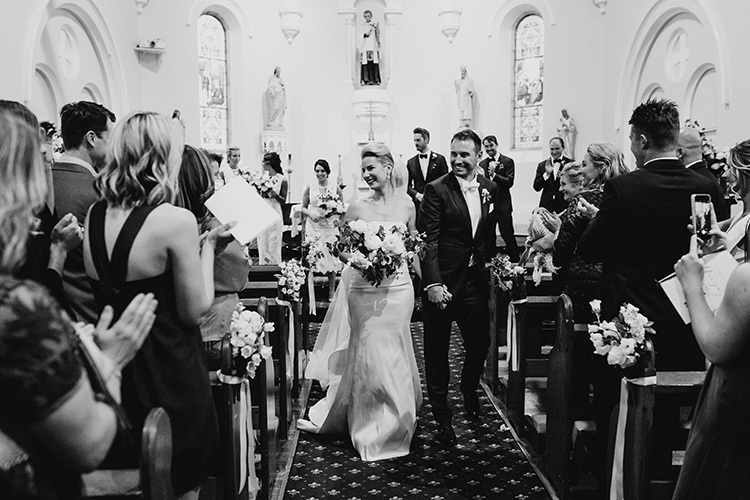 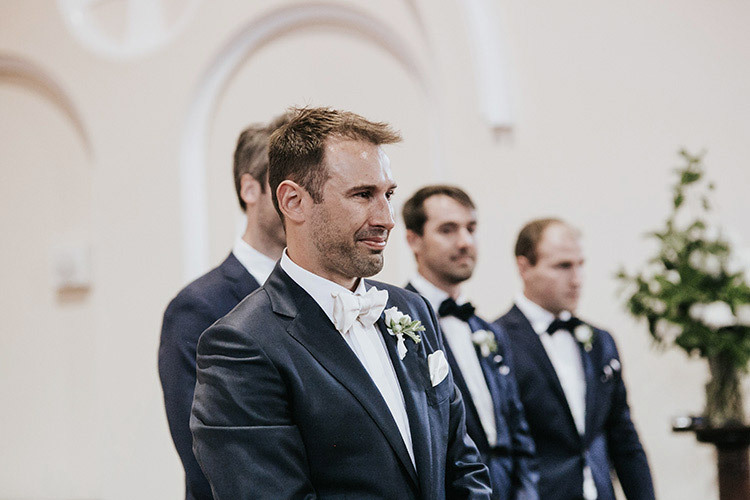 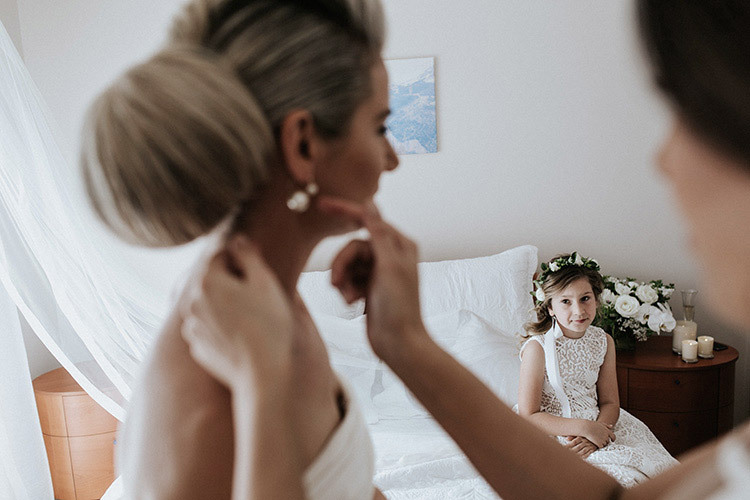 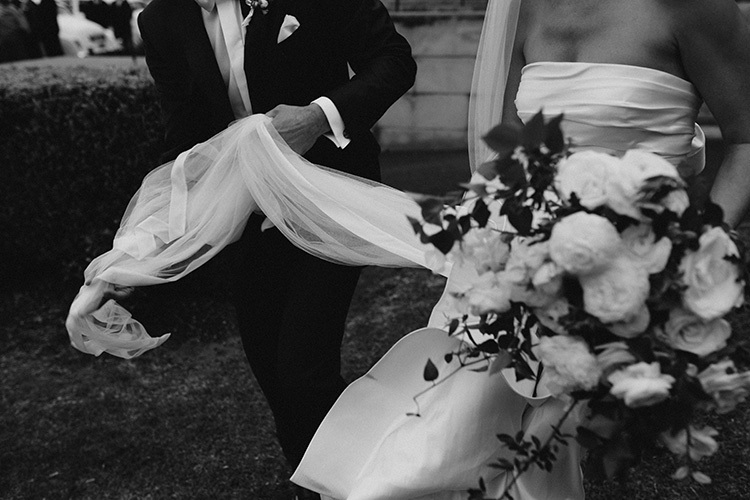 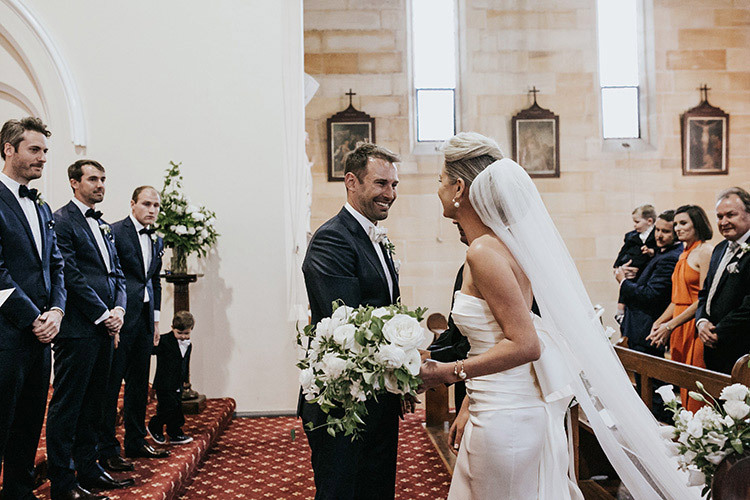 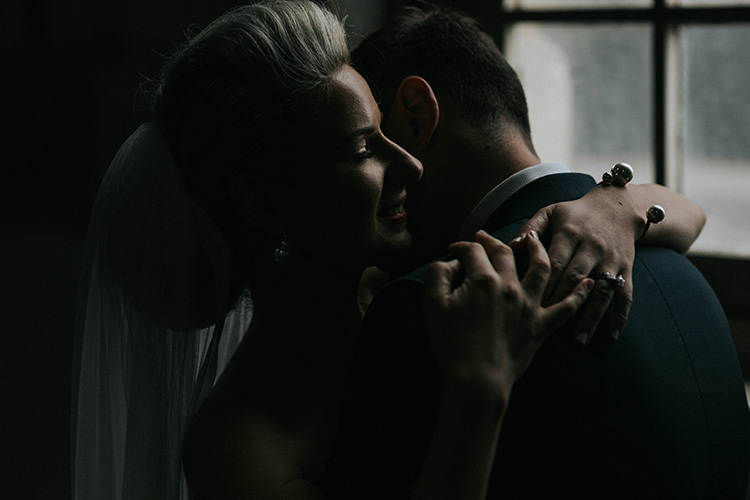 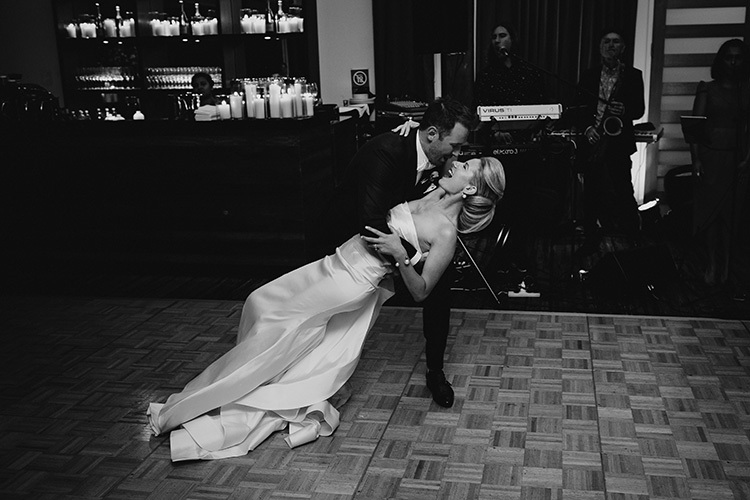 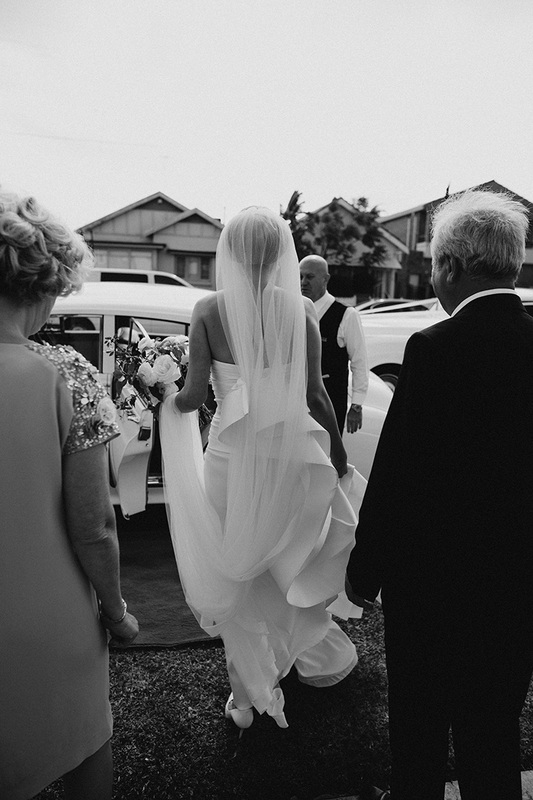 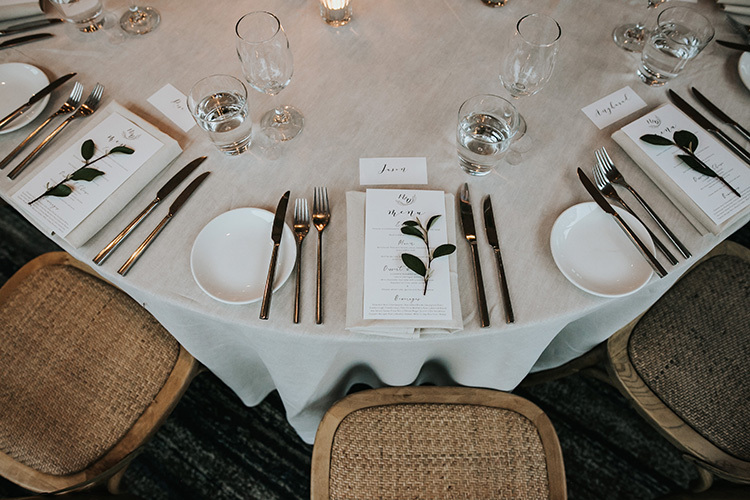 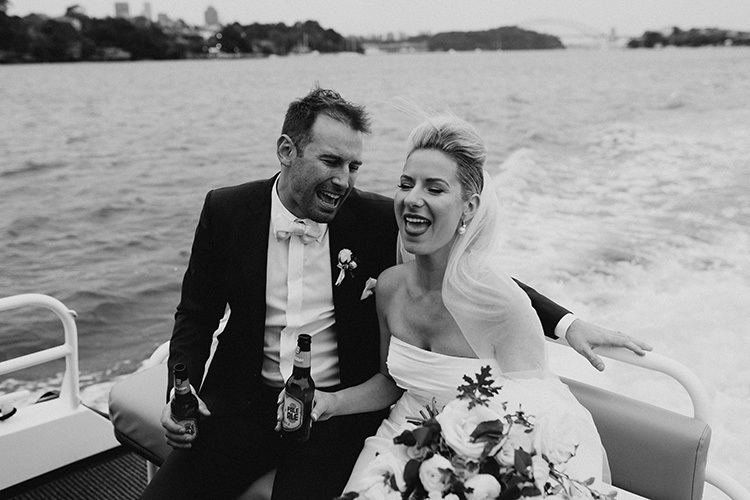 As a Sydney wedding photographer, the ever elegant Marija & Dave’s special day was a dream to shoot. 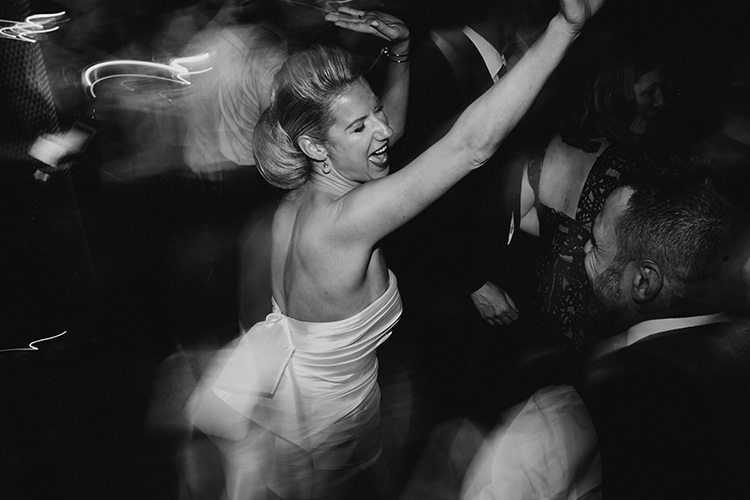 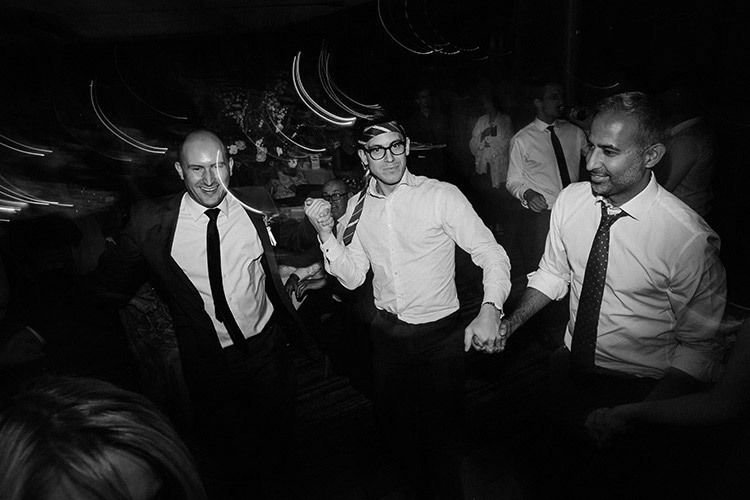 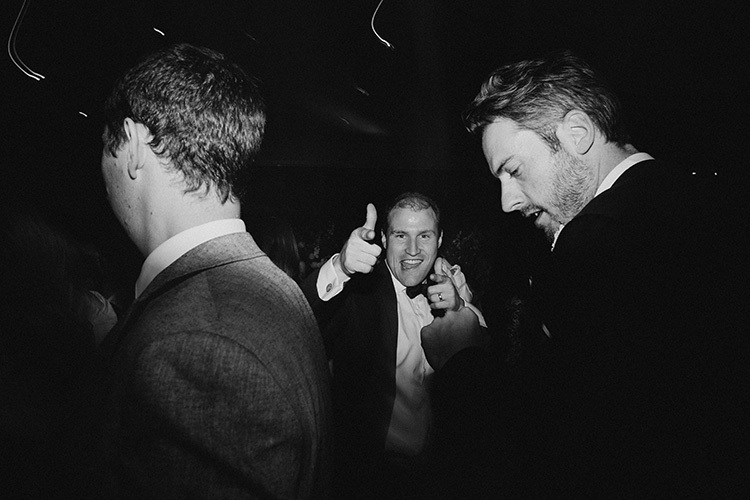 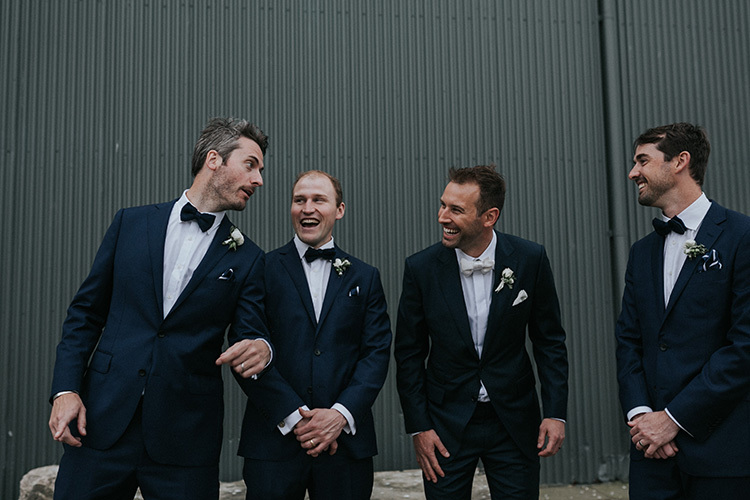 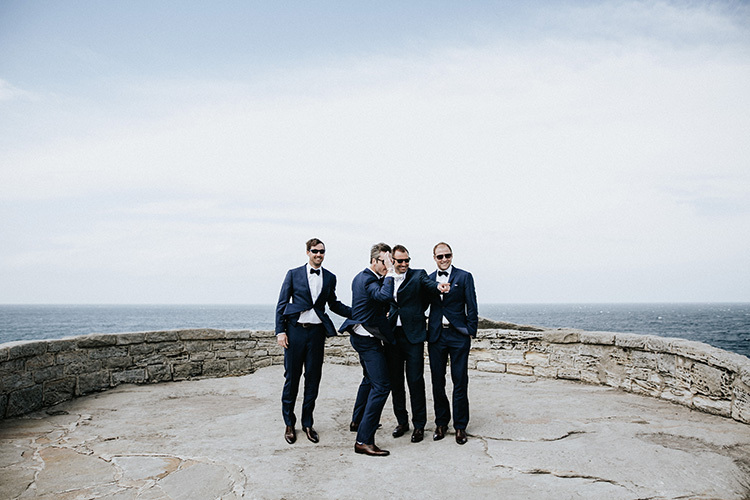 Big weddings are great because the non-stop, high energy day always guarantees lots of fun. 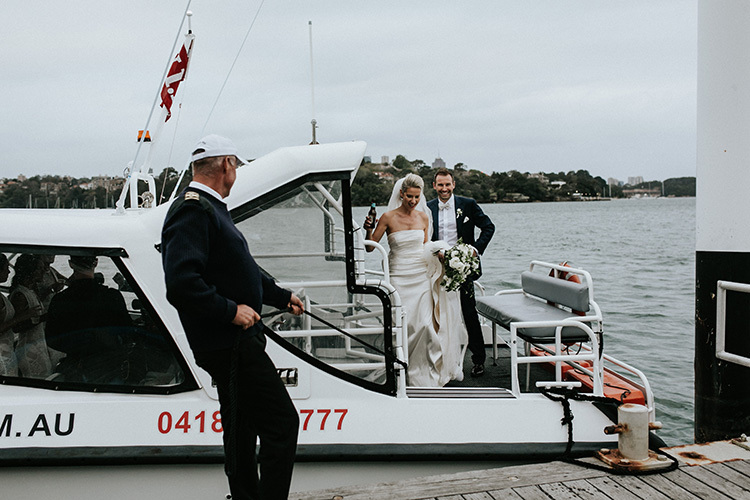 After being wed in a beautiful ceremony at St Peter Chanel church in Hunters Hill, we jumped into a water taxi with Marija, Dave and their bridal party. 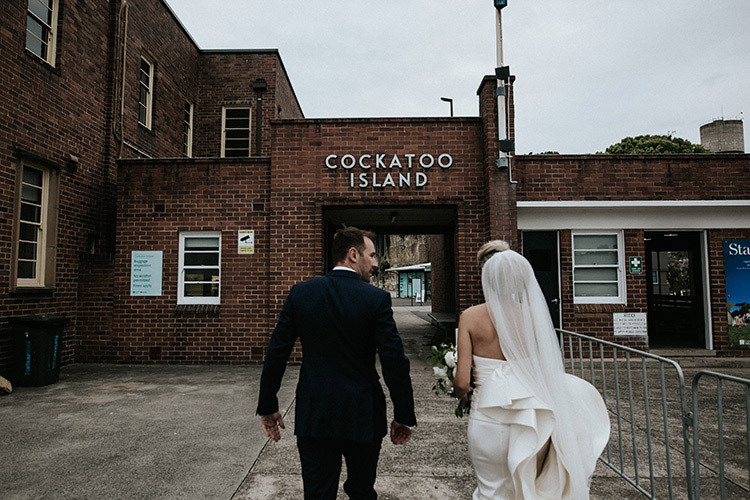 Party tunes played over the boat’s speakers as we headed across the harbour for Cockatoo Island wedding photos. 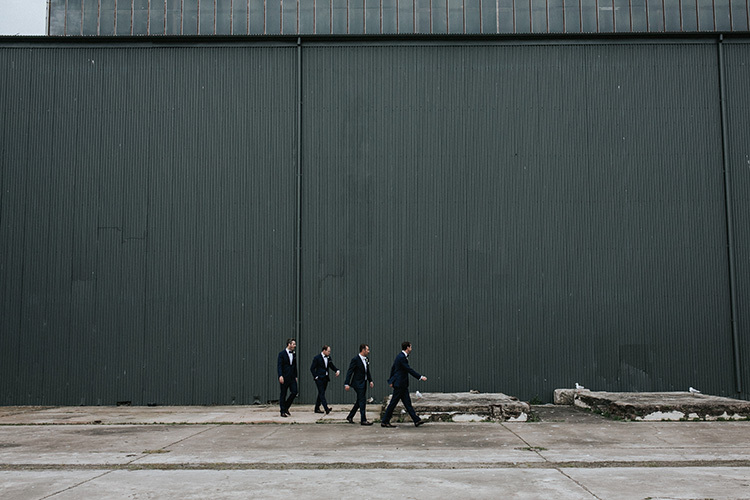 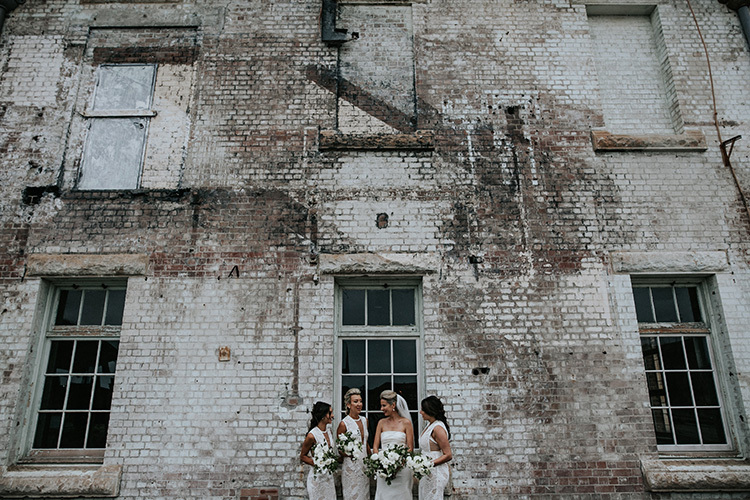 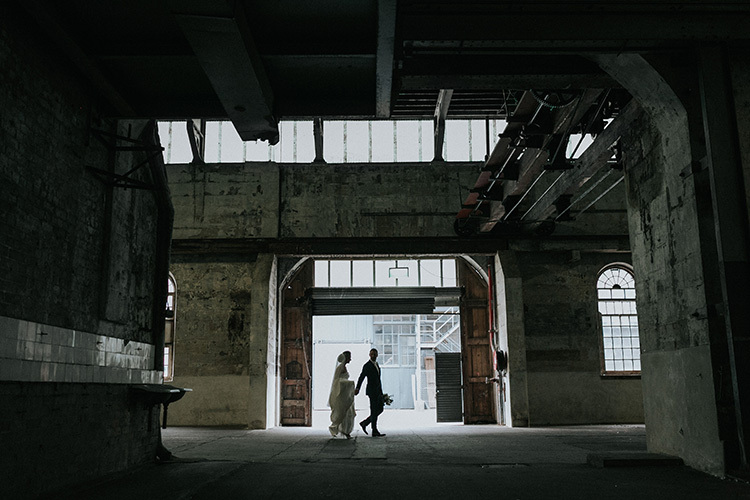 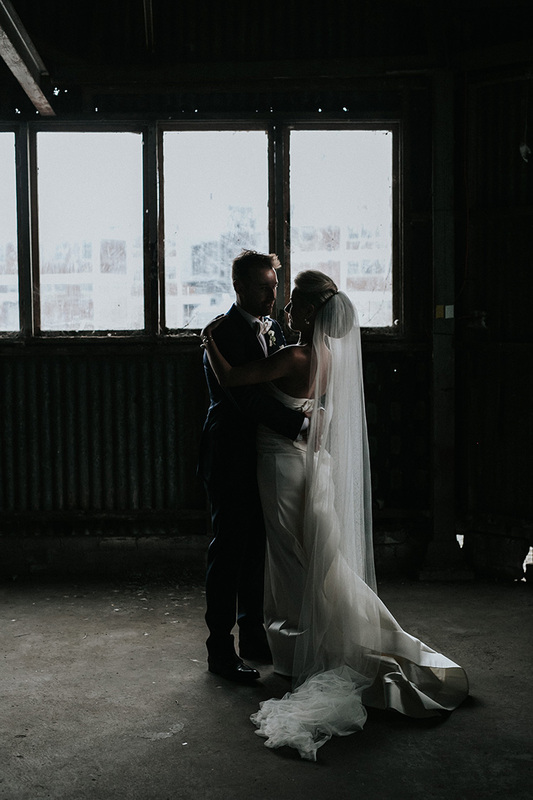 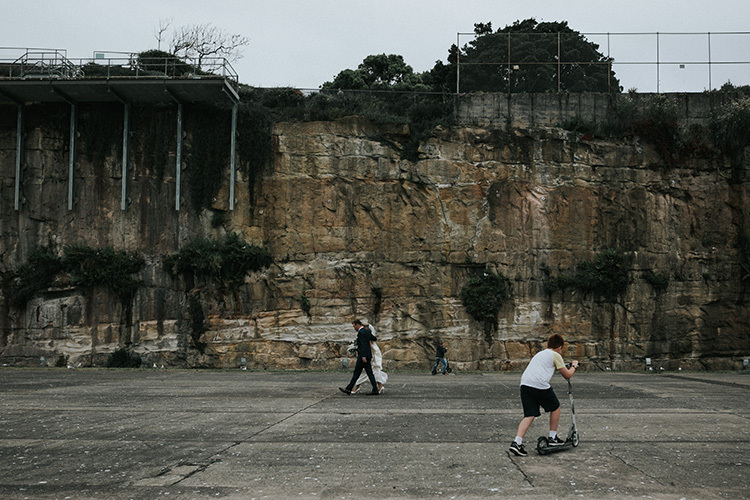 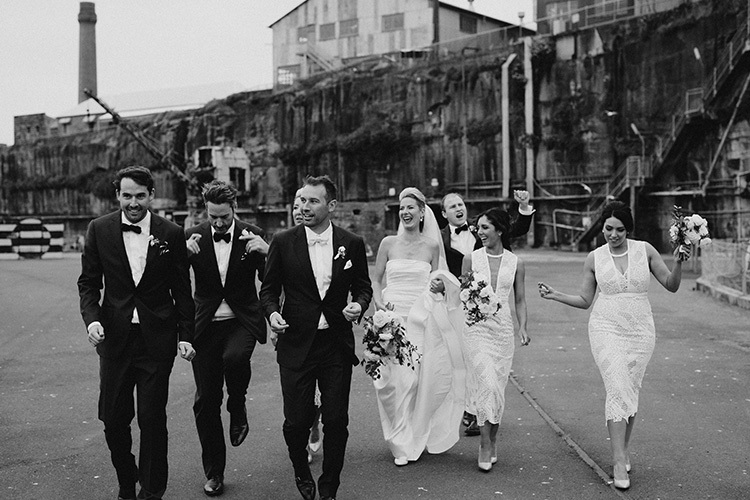 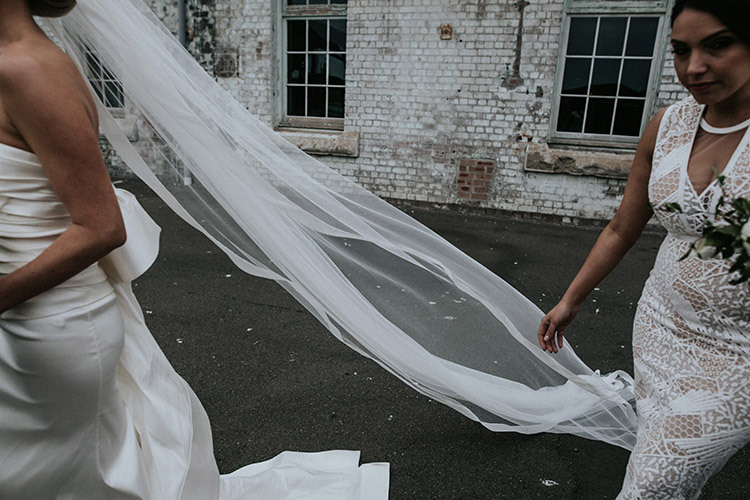 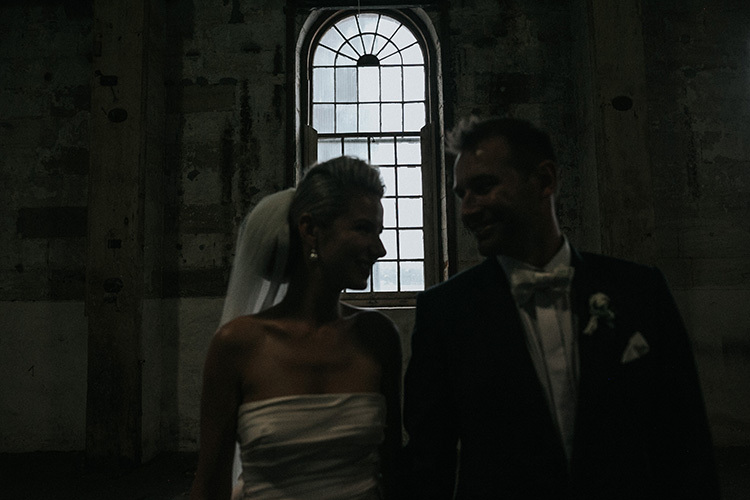 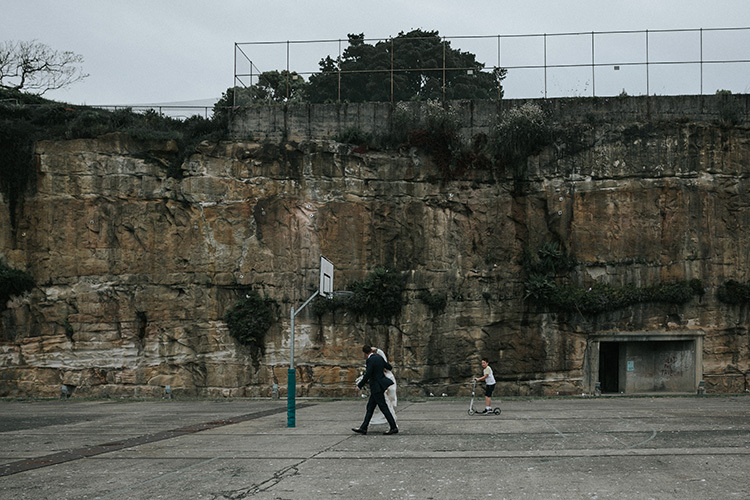 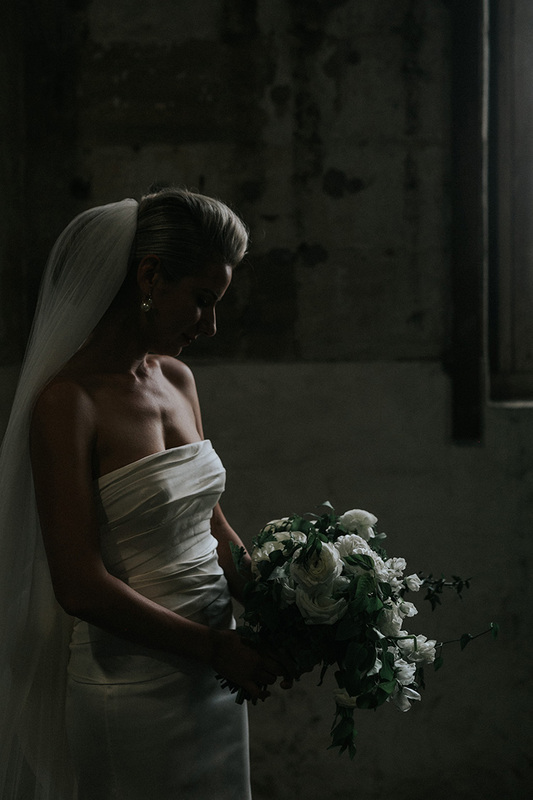 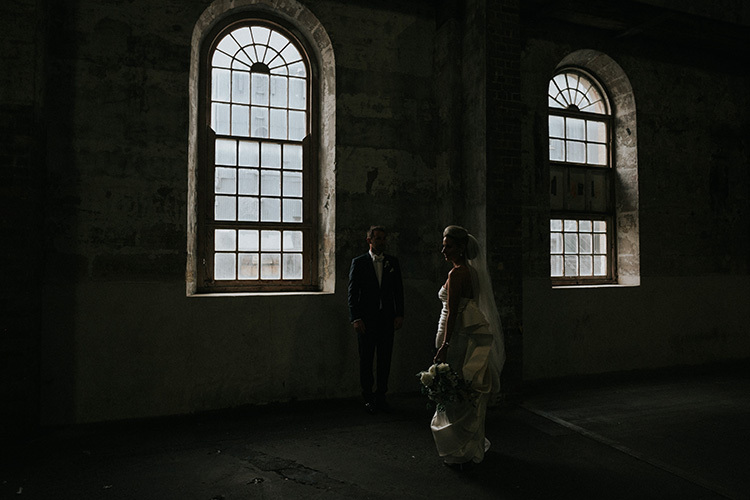 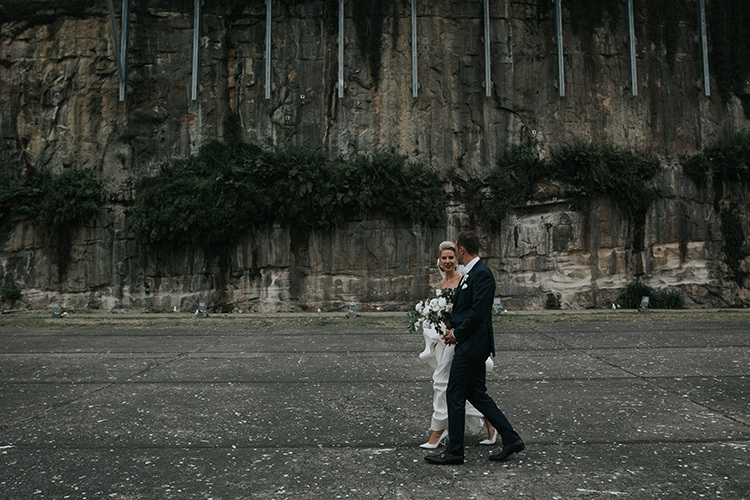 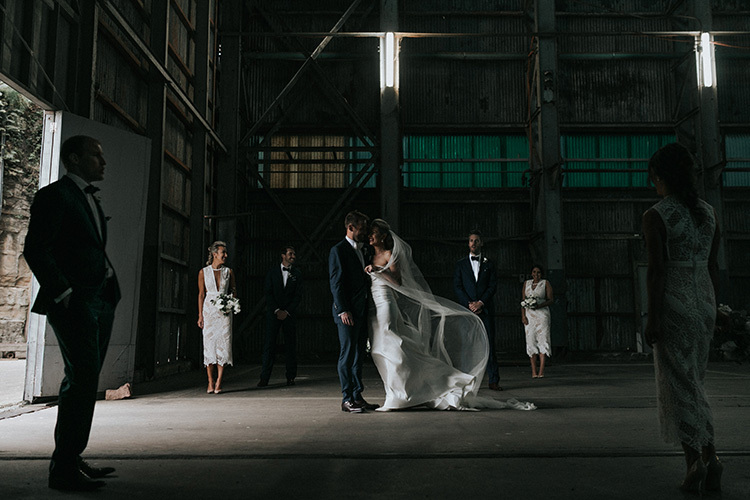 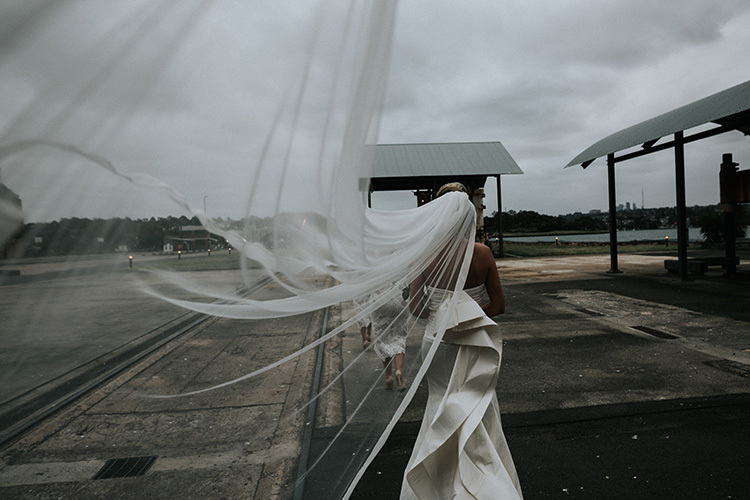 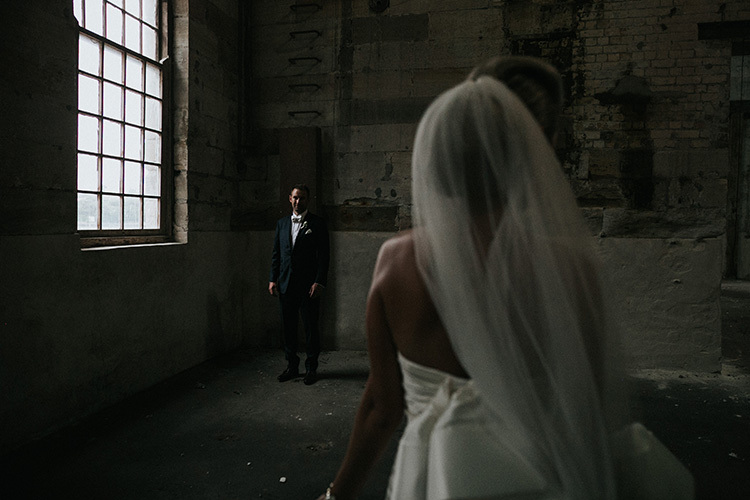 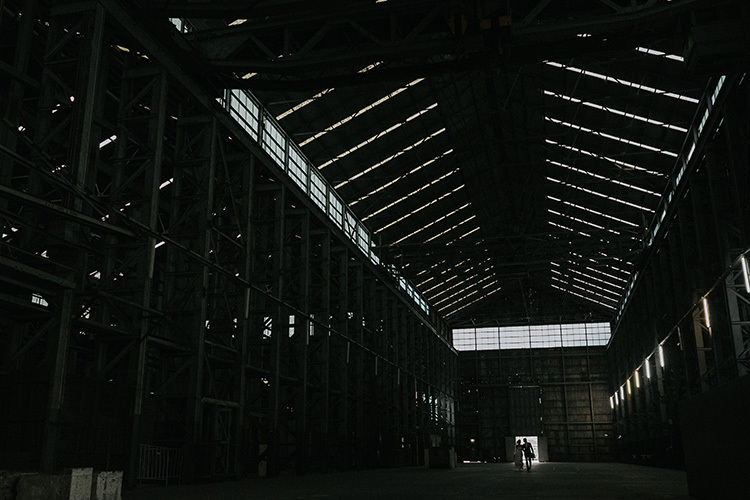 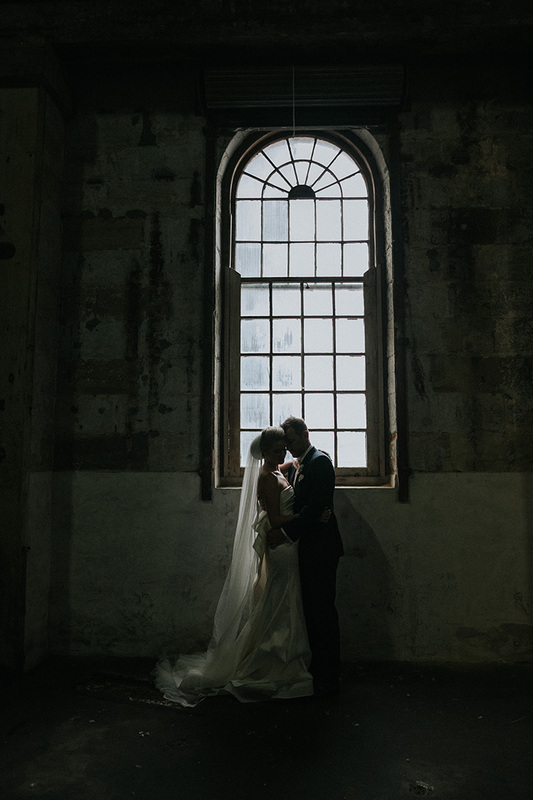 Cockatoo Island is such a cinematic location for portraits because of its industrial backdrop and moody light. 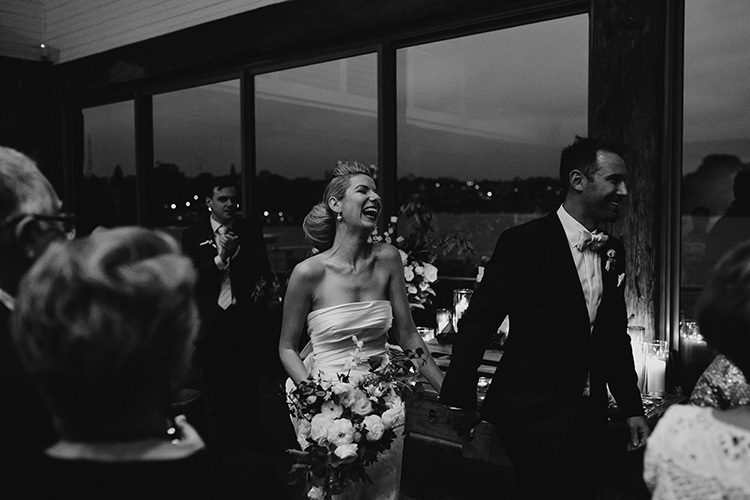 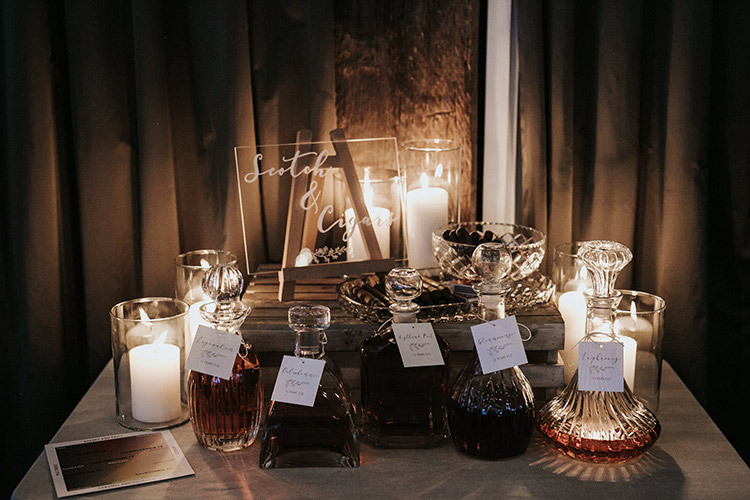 Following photos, the party continued well into the night at their beautiful wedding venue, Deckhouse Woolwich. 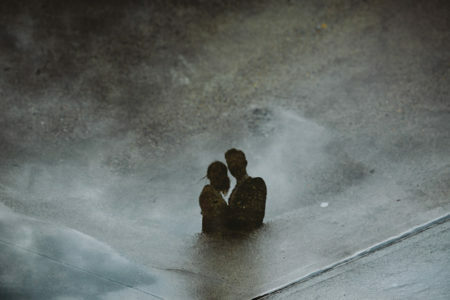 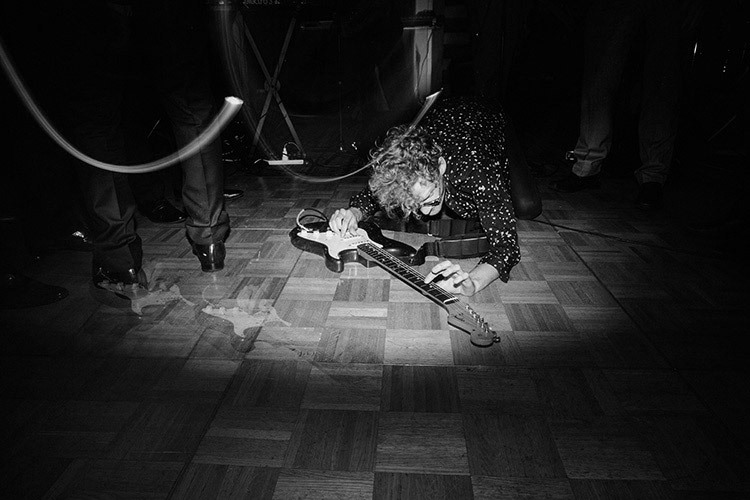 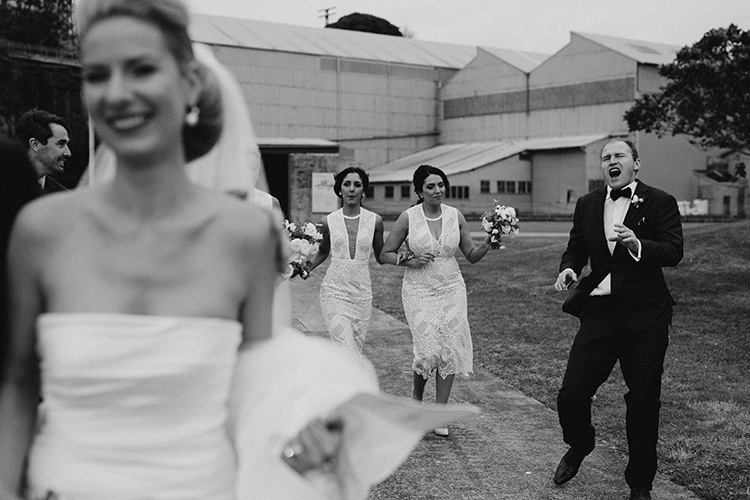 If you love their photos as much as we loved creating them, drop us a line! 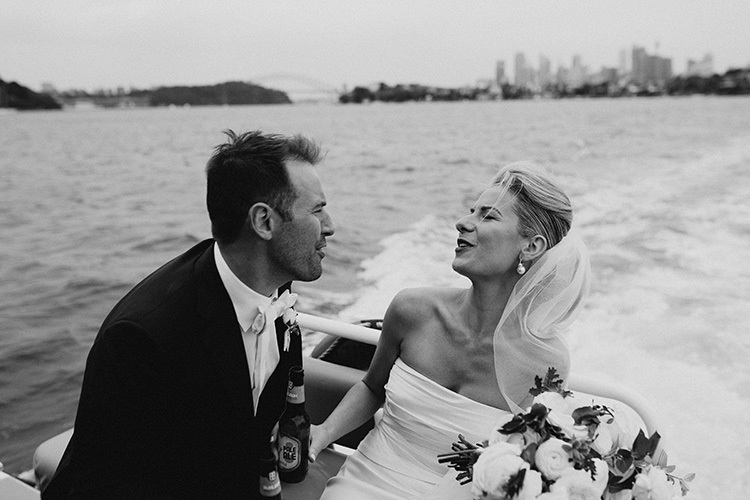 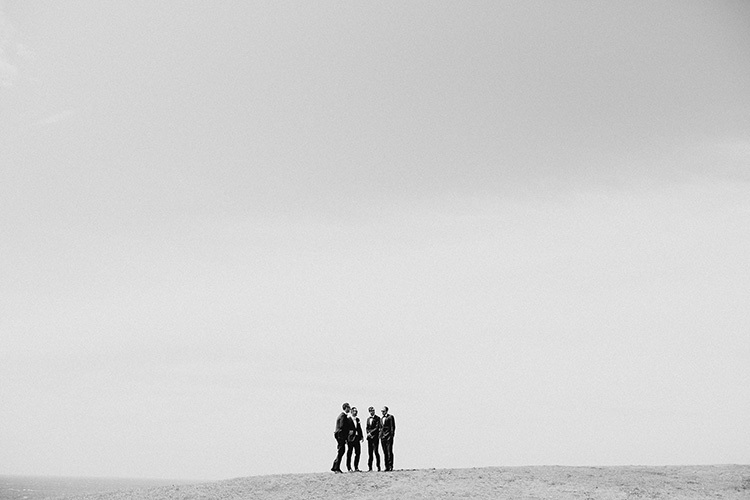 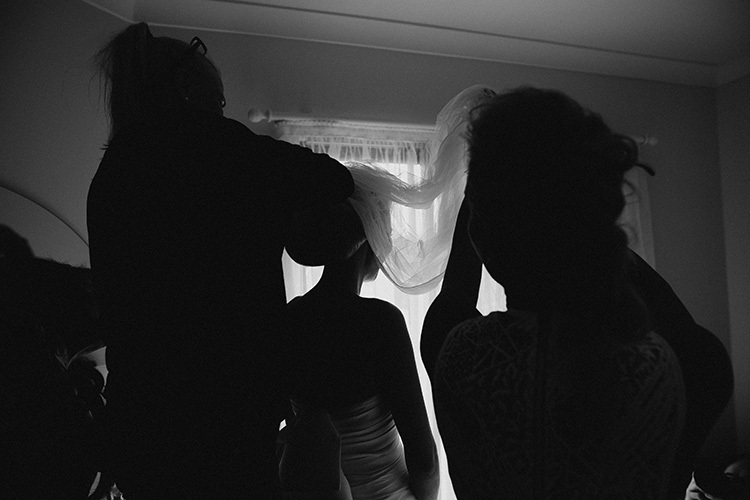 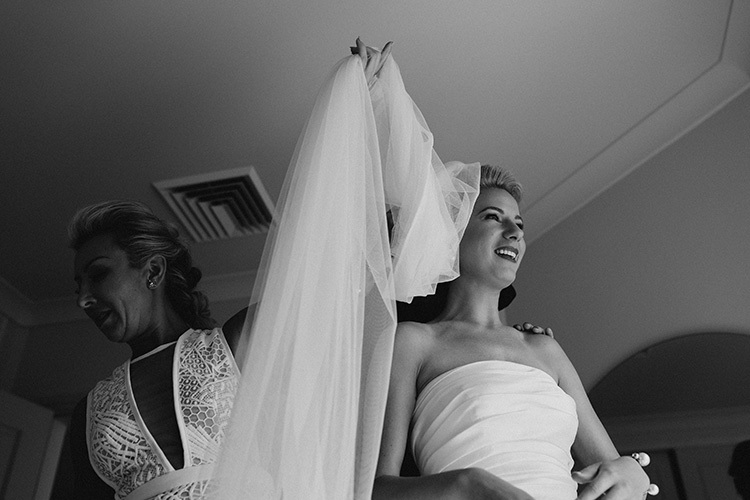 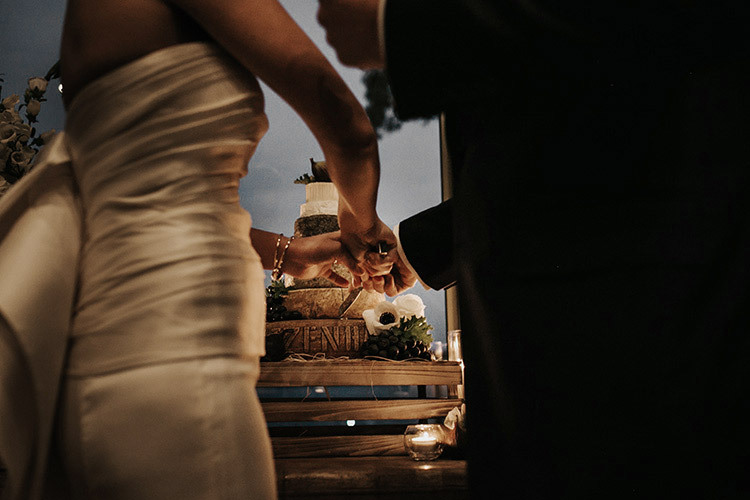 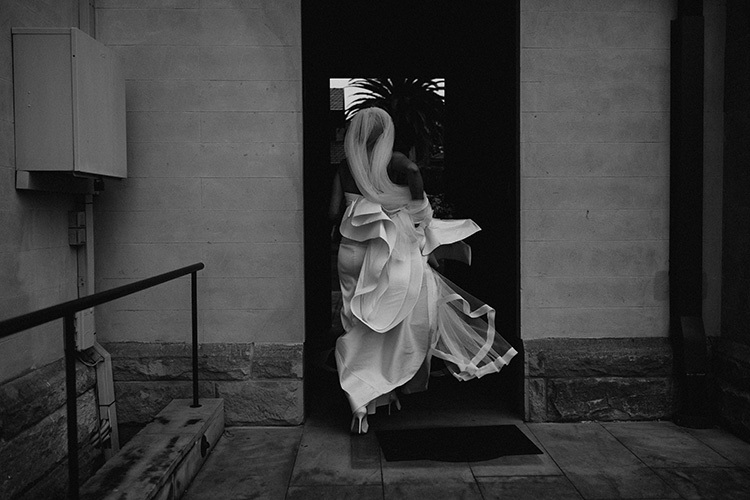 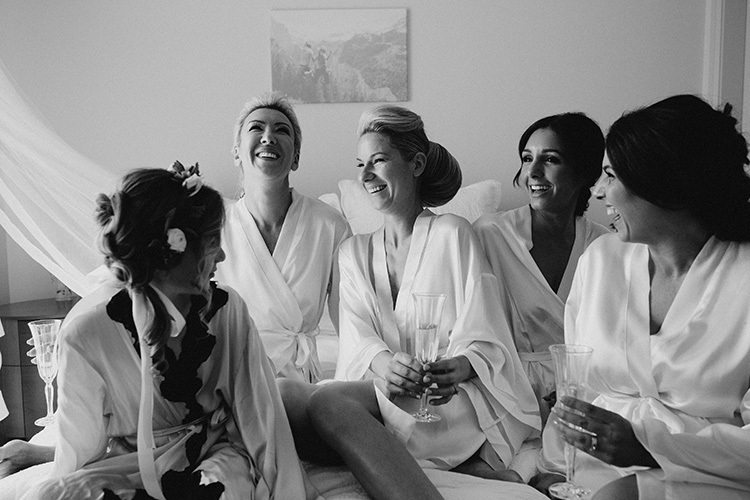 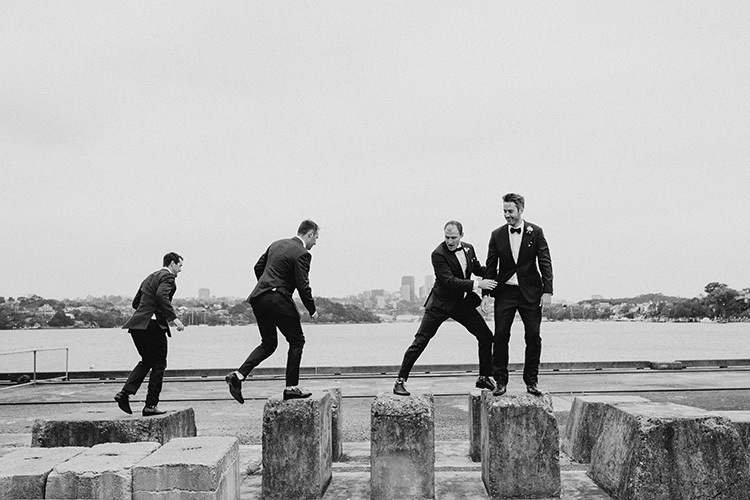 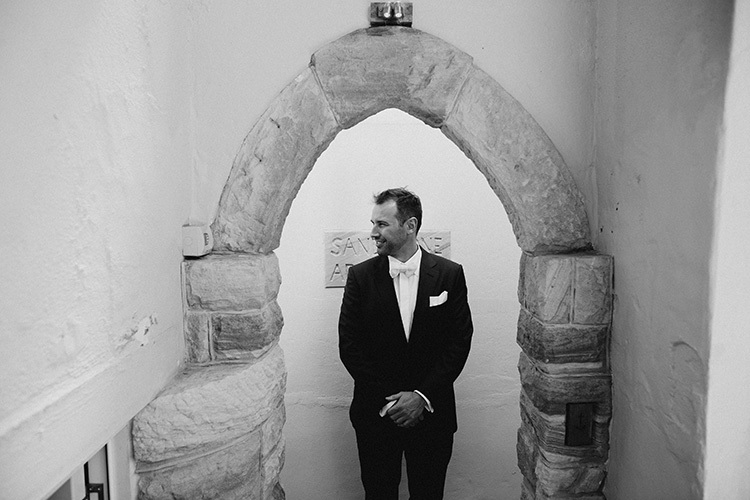 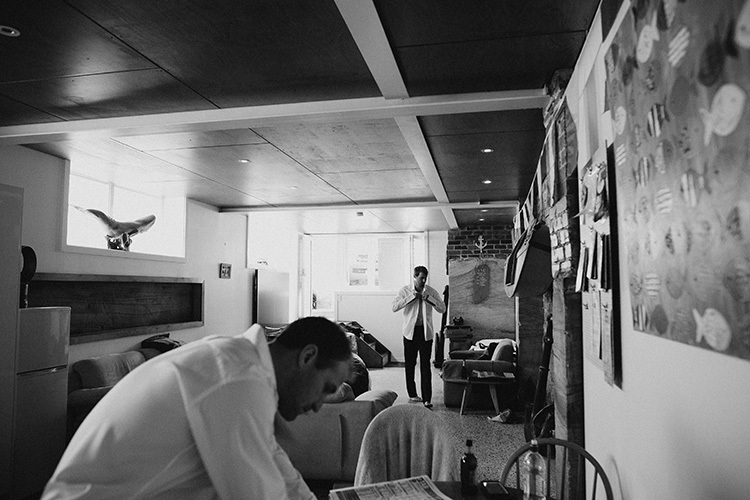 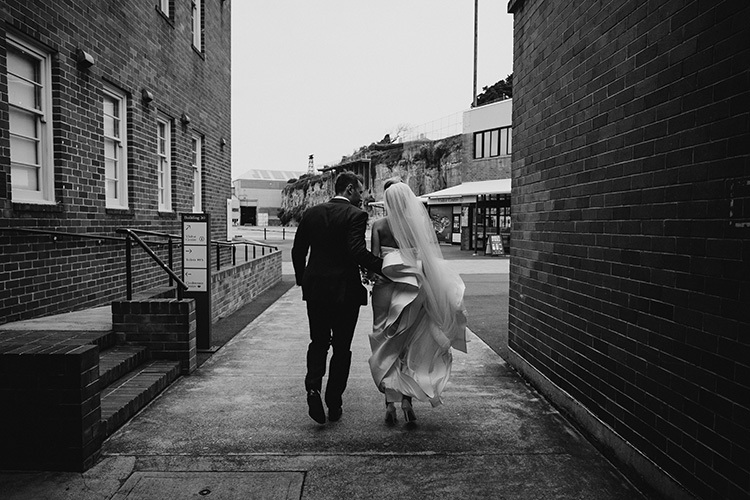 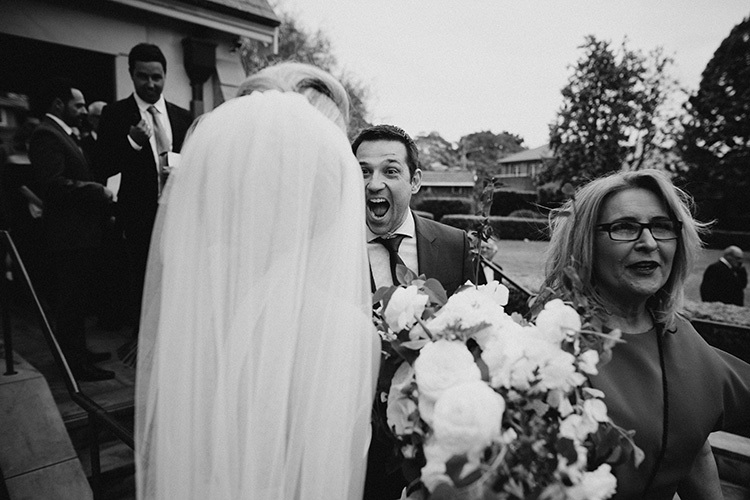 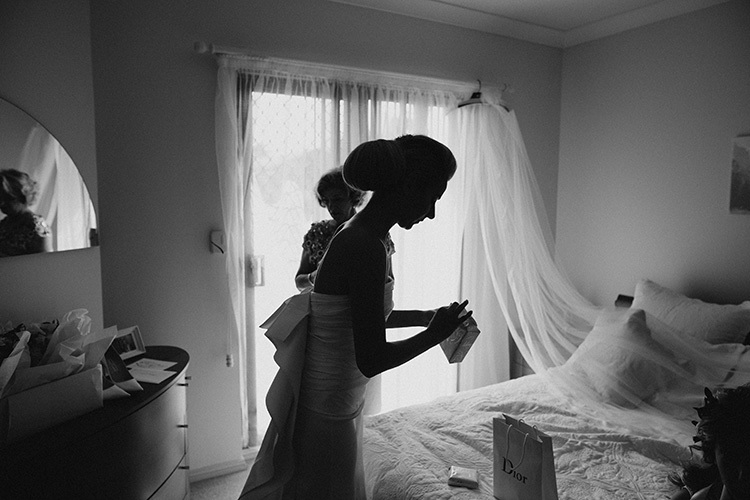 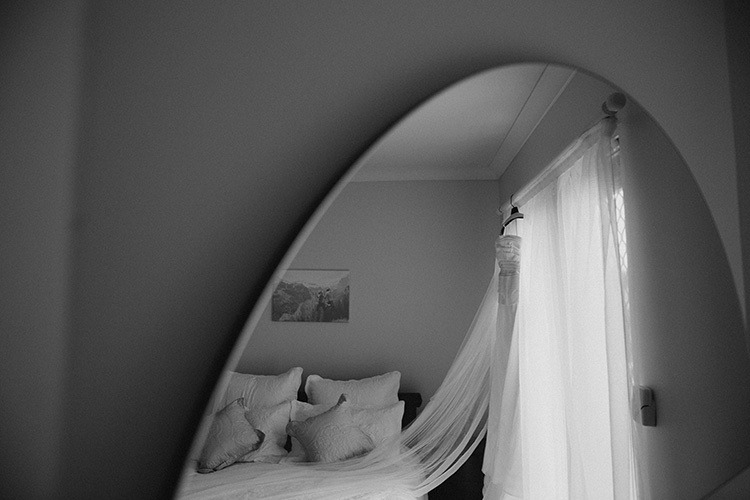 We would love to be your Sydney wedding photographer.